YoungGates offers cutting-edge online technology education to kids between the ages of 8 and 18. The curriculum focusses on learning by doing, inquiry based learning and assisted practice, for maximum knowledge stickiness. 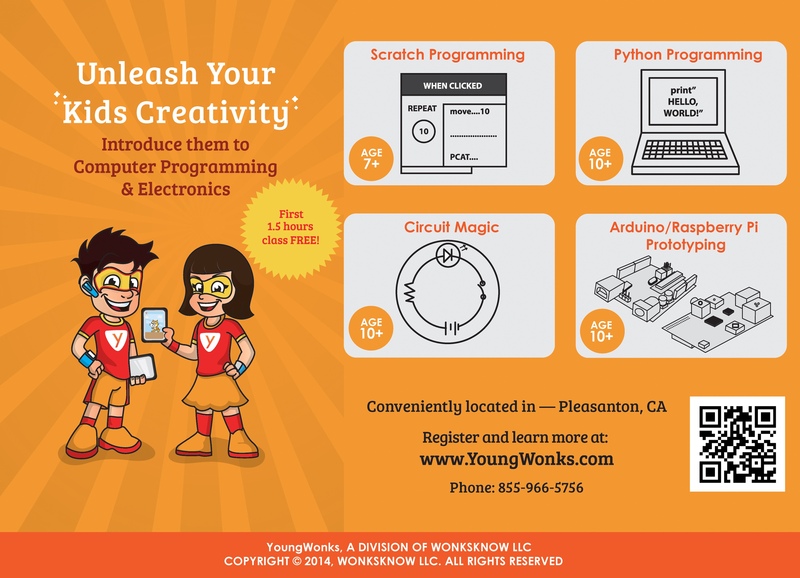 YoungGates provides computer science classes online for kids and teens between the ages 8 and 18. It provides various programs based on the kids level of exposure to computer science beginning from Scratch - Python - Website Exposure - Android Apps - Data Science - Robotics making learning purposeful,meaningful and interesting.The program is hands on and self paced. Children are encouraged to build strong understanding of concepts and then come up with their unique innovative solutions.These programs not only teach coding but also fosters creativity , reasoning and problem solving. YoungGates provides personalized / small batch learning for children across the nation. Due to their unique teaching quality , children can learn wherever they are - be it home , after school care , vacation etc. Kids look forward to their next class and are seen getting innovative and creative. * 1 Hour classes to give children adequate hands-on-learning time. * Combine skills learnt in multiple programs to create interesting self-designed projects . * Attend a FREE 1 hour class Online.